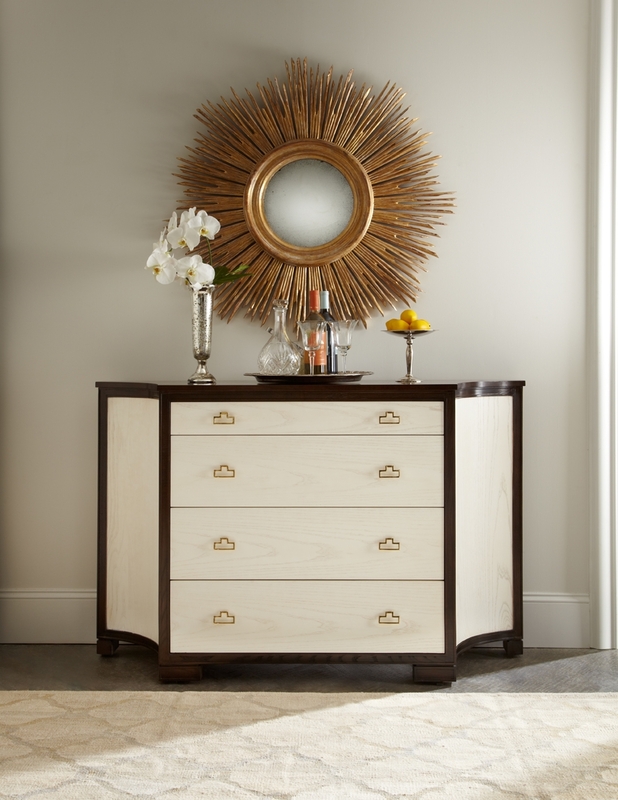 W: 56" x D: 16" x H: 36 1/8"
This new credenza adds shape to the case offering. 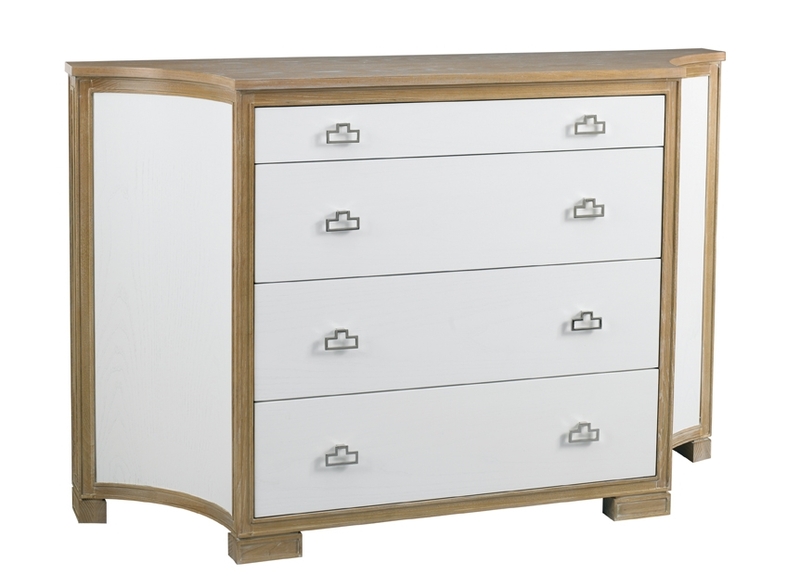 The wood sides are beautifully curved to add character while lightening its presence yet still providing great storage. 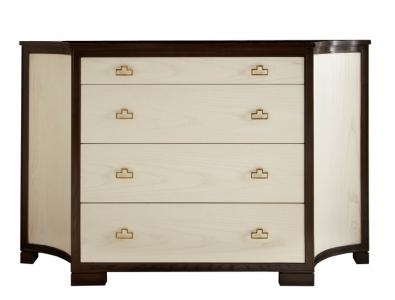 Excellent for a two-tone finish application to highlight its graceful lines. #LE Butternut with -34 Washed Linen.